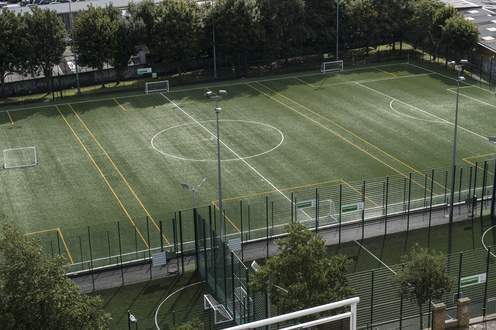 With leagues, block bookings and a comprehensive programme for juniors, our pitches are the first choice for football players in Islington. Pitches can be booked through Islington Tennis Centre & Gym on 020 3793 6880 or online. Host a birthday party at our iconic venue for a birthday to remember! Birthday parties can be booked on our secure 5-a-side pitches on a Saturday between 1-3pm or 3-5pm for up to 20 children. The parties are made up of a 1 hour coached session (this can be tailored to suit your requirements) followed by 1 hour free use of our training room where you can bring your own party food. These are available for any ages. If you would like to find out more information or check availability please call us on 020 3793 6865 or alternatively email Aleksandra here. 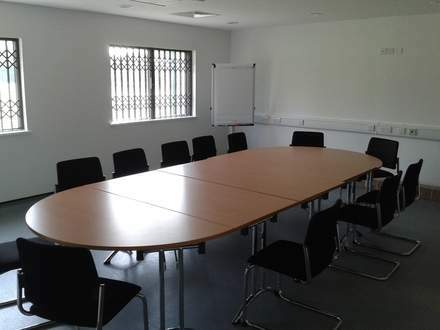 Our training room overlooks the newly refurbished pitches and is the perfect choice for a meeting or course.